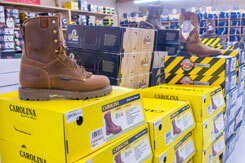 We at Country Square Western Wear, specialise in cowboy boots, cowboy boots and cowboy boots! With a long history of experience in this industry, we have earned ourselves the reputation of being one of the best in the cowboy boots business in the Bellevue area. Having established ourselves in 1984, we offer a great local service with a wide-ranging collection. 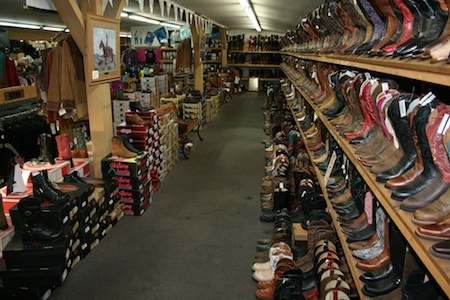 We do not stock simply cowboy boots, but cowgirl boots and Western boots too. Want to make your outfit stand out from the Bellevue crowd? Then you have come to the right place. With our exquisite collection of cowgirl boots, your western wear fantasies can be fulfilled at by us. 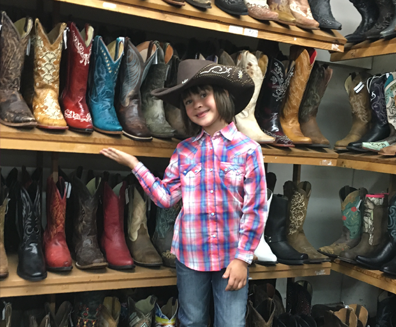 With a wide range of cowgirl boots to choose from, you are sure to cherish your decision of “going western”. To ensure consumer satisfaction we are open 7 days a week, serving Bellevue, WA, and the neighboring area.